WD My Book 1.5tb Showing as "unallocated space" after removed from case. PLEASE HELP! 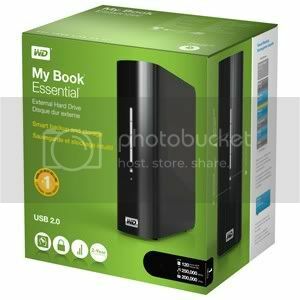 I had a Western Digital 1.5 Tb My Book essential edition (pictured below) that my wife gave me for Christmas. i have filled all but about 400 gigs with very important data. MY ENTIRE LIFE WAS ON THIS DRIVE. for the purpose of securing it in my computer (via sata connection) versus having it possibly damaged keeping on my desk. 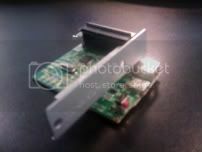 i removed the HD from the case, unplugged the "usb convertor chip"(Pictured Below) from the sata connector on the drive and plugged it into my machine. at first the drive does not show in my computer. The computer recognizes that a drive is plugged in but that is as far as it goes. When I go to Disk Management, the drive shows up 1.5 tb of UNALLOCATED SPACE. At this point my stomach drops to my feet. Panicked and worried I disconnect from the internal machine and reconnect to the “ wd chip” and fire up my machine. Still no drive. However the Western Digital program that comes on the drive shows up(must be contained on the chip). I have done much research online and have have been so far unable to find somebody who has the exact same issue and how to resolve it. Western digitals forums are “closed due to maintenance” and ive been unable to get an answer from phone support either. Please. If some body could please help me. Re: WD My Book 1.5tb Showing as "unallocated space" after removed from case. PLEASE HELP! If you have tried to plug the drive into other machines and they all say unallocated space then it seems it got wiped somehow. You could try to use Recuva. It's a tool by Piriform software. Its for recovering deleted files. Download here: http://www.piriform.com/recuva then install, open the program, target the drive, scan, and pray! Hope this helps. Good Luck! I'll ask a quick question...was the MyBook software used on this drive ? ? im not sure if this is related? Did you read it all ? ?